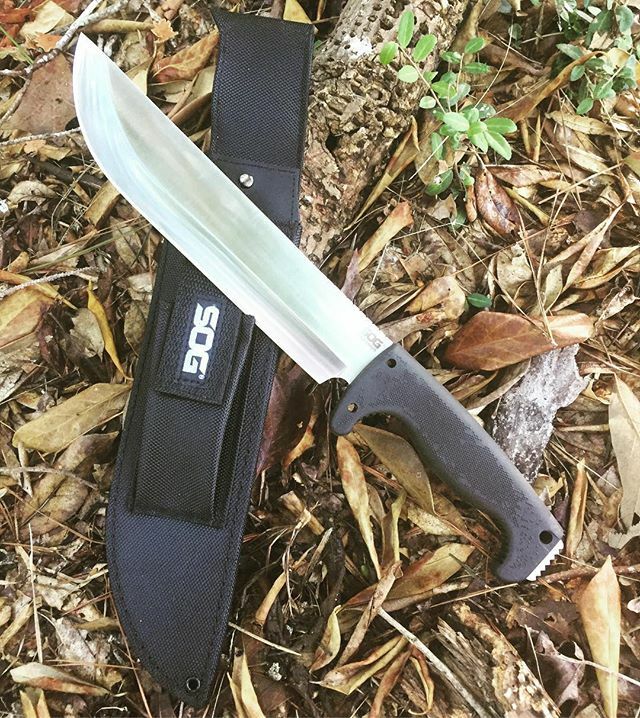 The SOG Jungle Canopy F15-N knife is designed to handle whatever punishment you throw at it. The 10 inch blade is thick and has minimal grinding to maintain the strength of the 8CR13MoV steel. The Kraton handle has an extended finger guard and features SOG Digi-Grip handle texture. This guarantees the user has gripping power where they need it most. Whether you want to call it a big knife or a small machete, the Jungle Canopy F15-N is a dependable tool that can and will stand the test of time and be there when you need it. It includes a nylon sheath with integrated utility pocket. 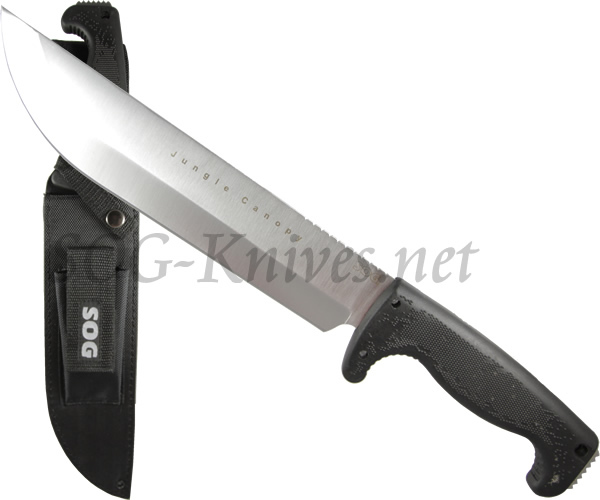 Own a SOG Jungle Canopy Knife F15? Tell us how you like it! Got a question? Ask! Somebody will answer!